This evening palm-perfect clutch is frosted with glistening flaky rhinestones that will make you glow during your special occasion. 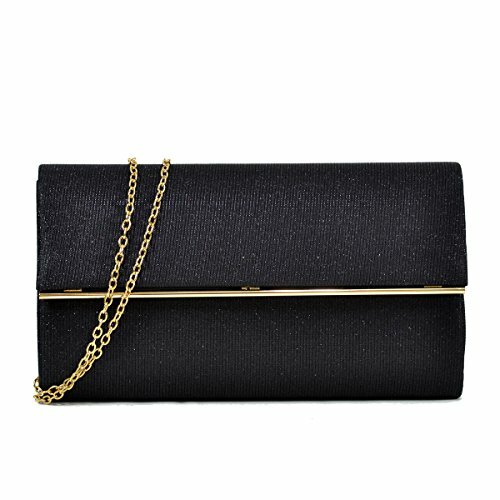 Uniquely designed with a Gold polished frame clasp closure, match this fashionable clutch with your evening gown and it will brings out the special glamour look in you. Inside can easily fit a cell phone, wallet, compact mirror, lip gloss, and a pack of gum. Conveniently, you can spend the night hands free with the detachable gold chain that is included.